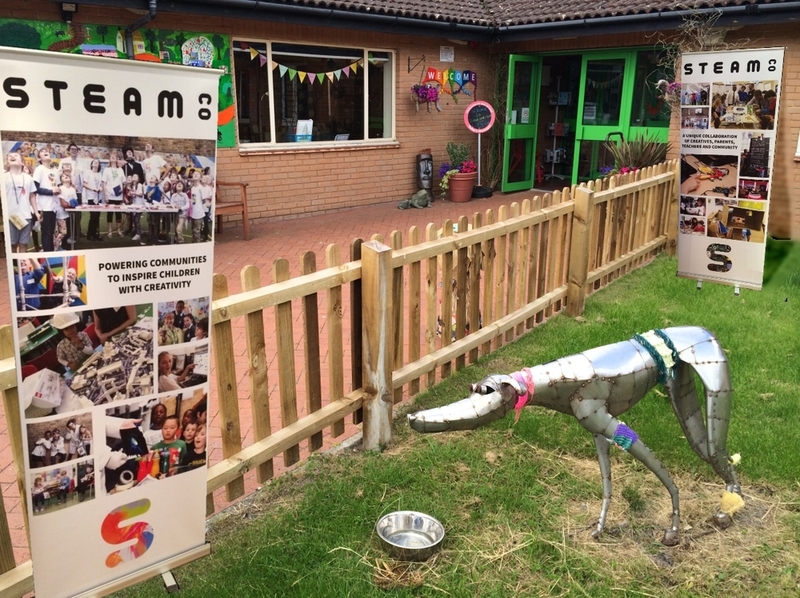 STEAM Co. AT THE SPINNEY FAMILY FUN DAY — STEAM Co.
We've been delighted to be invited to support a wide range of events across the UK and have particularly enjoyed working with leading members of the school and creativity community in Cambridge over the years. As well as speaking at CreativeConf, a creativity conference in Cambridge, and support the Cambridgeshire Festival of Education, we were delighted to be asked to run a STEAM Co. pop up event at The Family Fun Day that The Spinney School ran in Cambridge, via an introduction by one of our trustee designates, Rachel Snape who is head teacher there. See this short film of the day. Part of the Kite Teaching School Alliance, The Spinney School opened its doors to all Cambridge families and hosted a very special afternoon of FREE talks and workshops all based around STEAM subjects. In conjunction with the Family Learning Festival and The Big Draw, it wasorganised by The Kite TSA Cambridge with the support of parents and members of the community, a fantastic choice of STEAM themed workshops was staged including; Wood Carving, Hair Braiding, Natural Awareness in the Wild Wood, the Intelligence of Birds, The Big Draw, Fibonacci’s patterns and Learn the Ukulele. 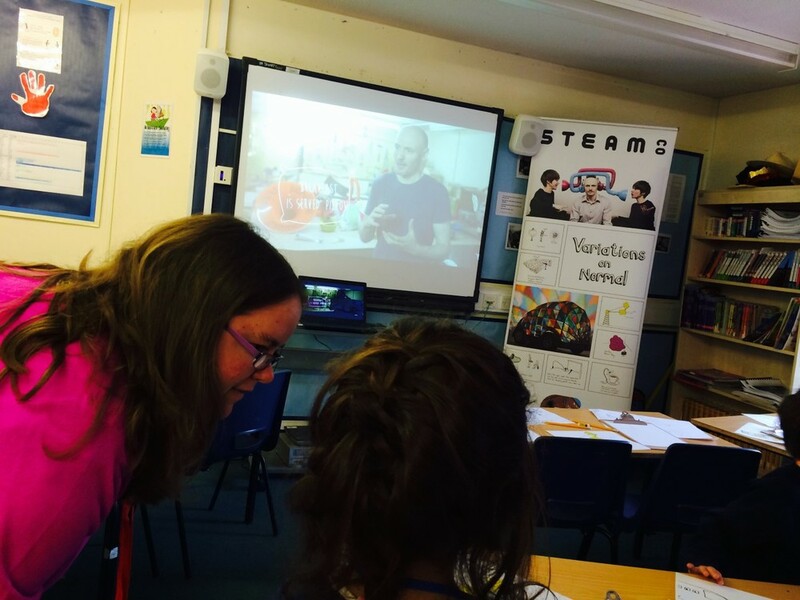 STEAM Co's contribution included a talk by Nick Corston, as well as four STEAM Co. taster workshops selected from our wider offer: Rocket Science, RoboCroc Coding, Newspaper Engineering and Spin Painting. Children were lucky enough to be able to enjoy 'Variations on Normal' an activity developed using materials from the book of the same name by STEAM Co. Inspirator and inventor Dominic Wilcox. 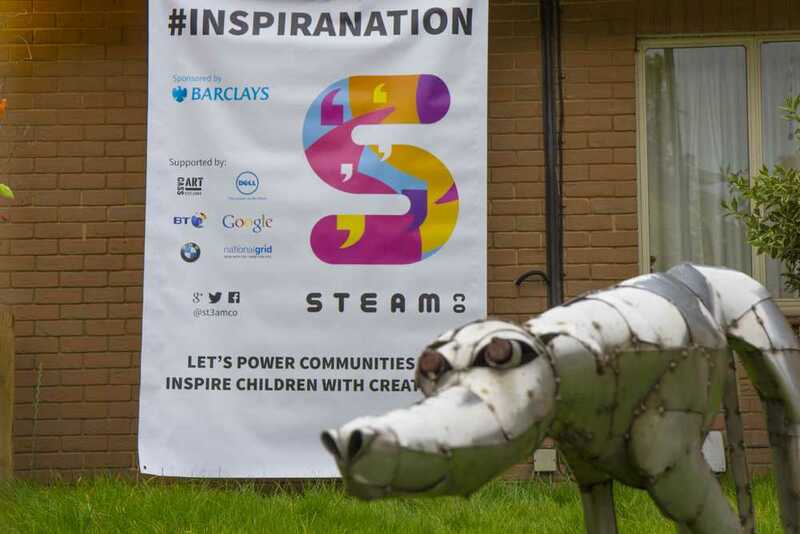 This day saw Nick formally launch STEAM Co. in Cambridge and offered a great chance for local schools, creatives, parents and businesses to get a flavour of STEAM Co.'s creative thinking and doing activities. Thanks to all who came along. Enjoy this film of the day. We're delighted to say thsi is no an annual event in the Spinney School calendar and hope it inspires other schools to work like this with their communities. We'd be delighted to help them in any way we can. The Spinney Primary School in Cherry Hinton was designated as a Teaching School in September 2014 and formed The Kite Teaching School Alliance Cambridge. 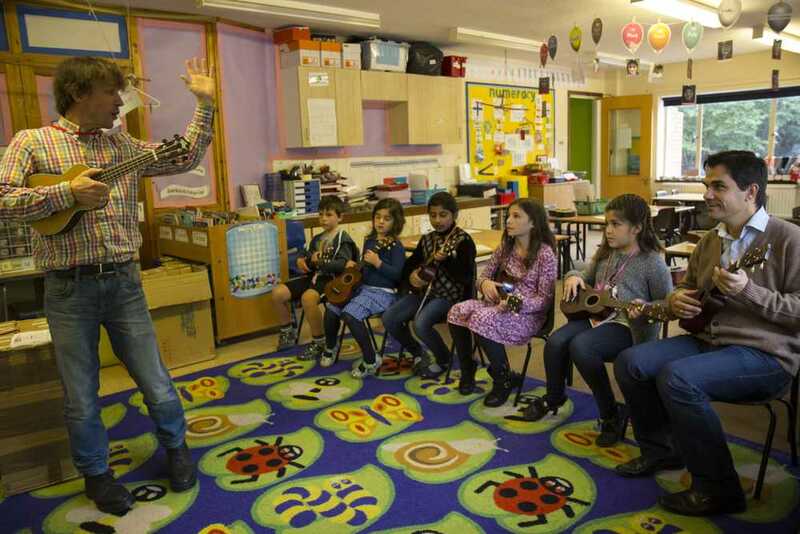 The alliance has a number of core projects with an Arts and Culture emphasis but also delivers against ‘The Big 6; School-led Initial Teacher Training, CPD, School to School Support, Identifying and developing leadership potential, Specialist Leaders of Education, Research and Development. About the Family Learning Festival / Campaign for Learning. The event was partly funded by The Campaign for Learning. The Family Learning Festival is one of their annual events. The Spinney Primary School has been celebrating the Family Learning Festival for over 7 years but this is the first time it has opened it’s door to welcome the wider Cambridge community to share in the celebration. The Spinney Primary School is participating in this month long national event as a whole school project and there was a drawing workshop to inspire and enthuse families about the initiative. STEAM Co. were delighted to be at this community event with The Big Draw, not least as leading illustrator of children's books and supporter of The Big Draw, Tony De Saulles has run a couple of fantastic activities on STEAM CO. Days for us. 'The best sort of activity is one that combines mental effort with sensuous delight. That’s why I love drawing'.